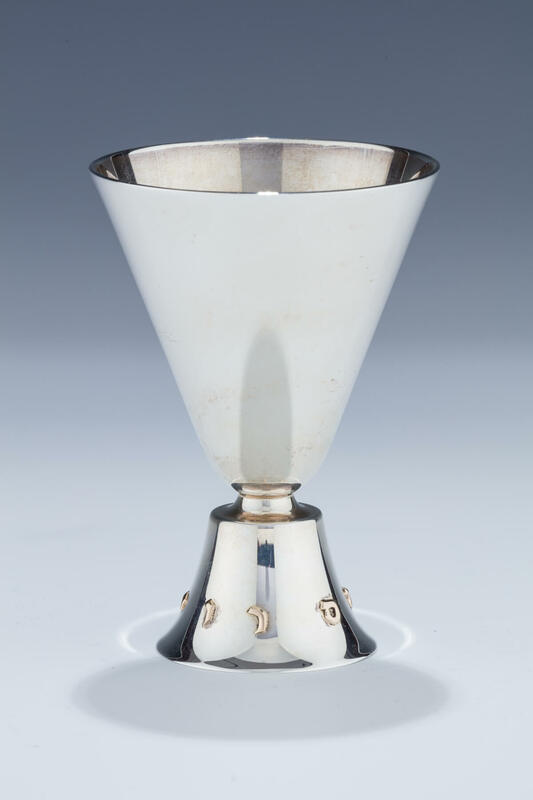 A STERLING SILVER KIDDUSH CUP. Probably Israel, c. 1980. The base with applied gold Hebrew letters spelling “MY CUP OVERFLOWETH”. Marked. 4.2” tall.